With a dedication to bringing traditional design elements into a contemporary framework, the Paloma series has created a collection of furniture that's guaranteed to inspire and enliven any home decor. 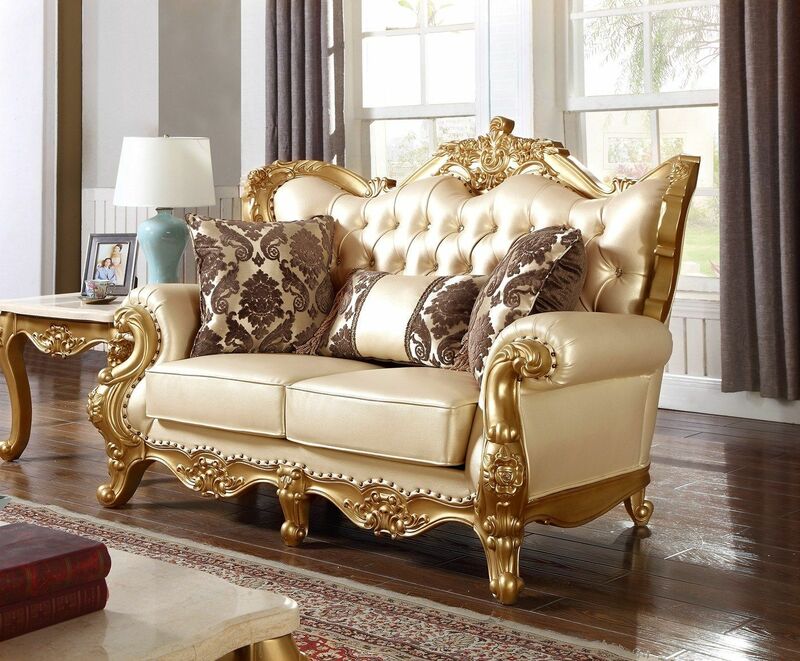 This gorgeous sofa and loveseat set from the Paloma collection features top quality bonded leather in a bold gold finish. The solid wood frame is sturdy and beautiful, featuring hand-carved designs on its exposed elements as well as an ornamental crest and apron. The tight back cushion with crystal tufting adds comfort and class, while rolled padded arms do the same with effortless aplomb. 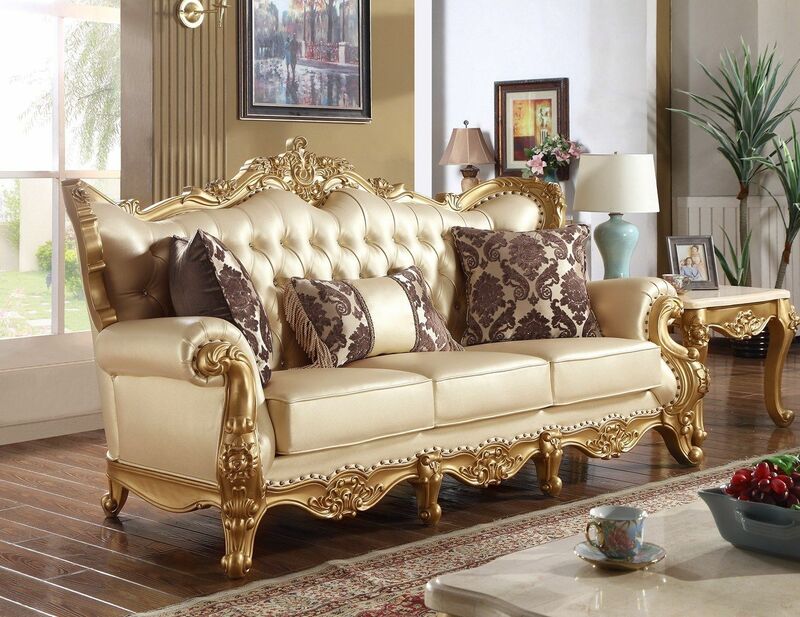 Add in beautiful scrolled feet you have a one-of-a-kind furniture set that's made to inspire your designer's eye. 276-C Coffee Table 57" 29.5" 19"
276-E End Table 29" 29" 23"
676-C Chair 48" 40" 49"
676-CH Chaise 76" 35" 45"
676-L Loveseat 68" 40" 49"
676-S Sofa 90.5" 40" 49"
Have a question about Paloma Traditional Pearl Beige Bonded Leather Sofa & Loveseat w/ Gold Finish? Our professional product specialists are ready and available to help answer your questions quickly. To speak with a product specialist today, please call 800-269-2216 or if you'd prefer, just leave your phone number in the comments area below and we'll be happy to give you a quick call back. We respond to all customer inquiries quickly.